I'm so excited to actually be able to spend Christmas day with my family this year & have some great food! 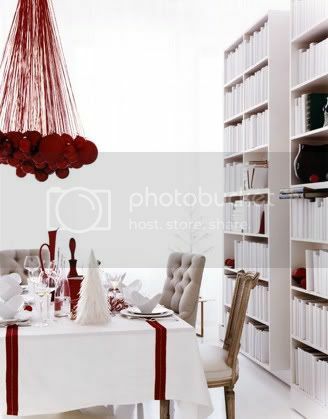 My dream would be to host them all at my place, with a beautifully decorated table large enough to fit all of us. 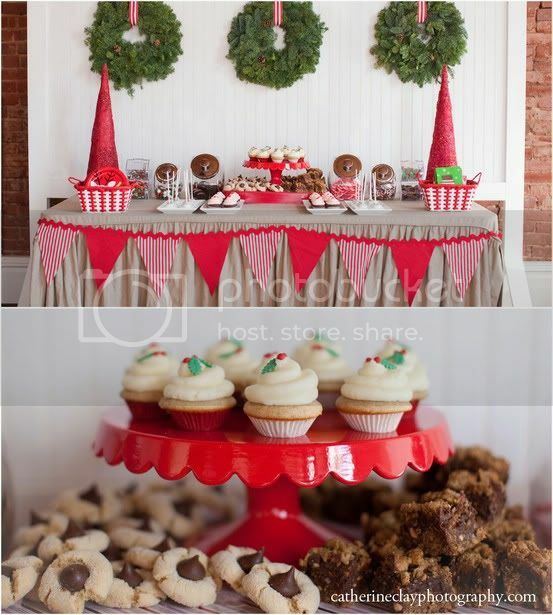 I found these great examples of elegant & fun Christmas tables on Pinterest and thought I'd give you some tips on how to recreate the looks! TIP #1 Pull furniture from other rooms to create more seating! Everybody knows that when you're hosting dinner unexpected guests show up. 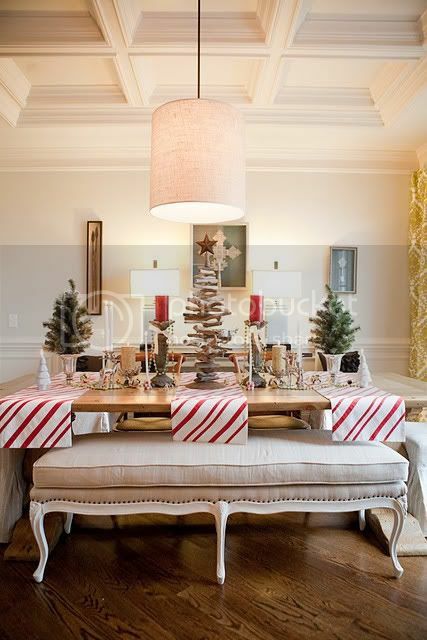 Be prepared & at the same time create a beautiful layered look by using ottomans & chairs from other rooms. TIP #2 Use what you have! No table cloth? That's ok! 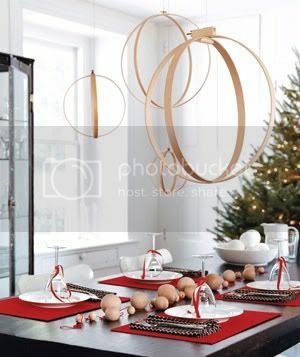 Use whatever fabric you have to create a table runner & embellish it with a holiday ornament or berry twigs as seen here. TIP #3 Repetition makes perfect! It's not always about the grandest decorations. Sometimes using a simple classic piece multiple times can create a greater look! TIP #4 Bring some nature in! 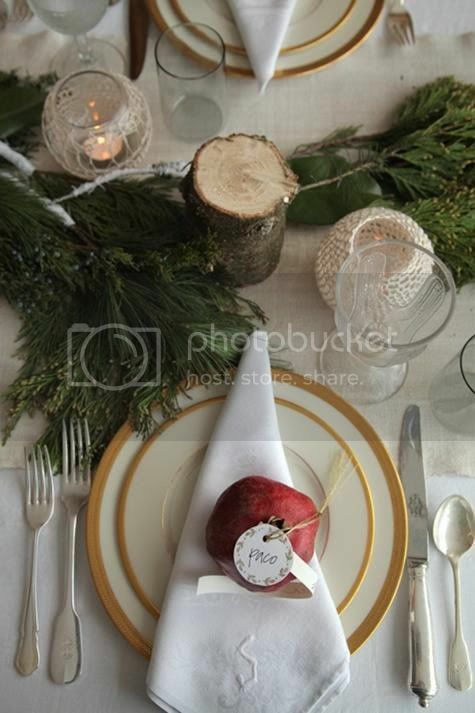 Snip some branches off your live tree & use a sliced tree branch to add a fresh look AND aroma to your table. TIP #5 Choose one color! It's really hard to make multi color holiday decor look chic. If you choose one color, be it red, green, purple or even gold, it looks 10 times more modern. 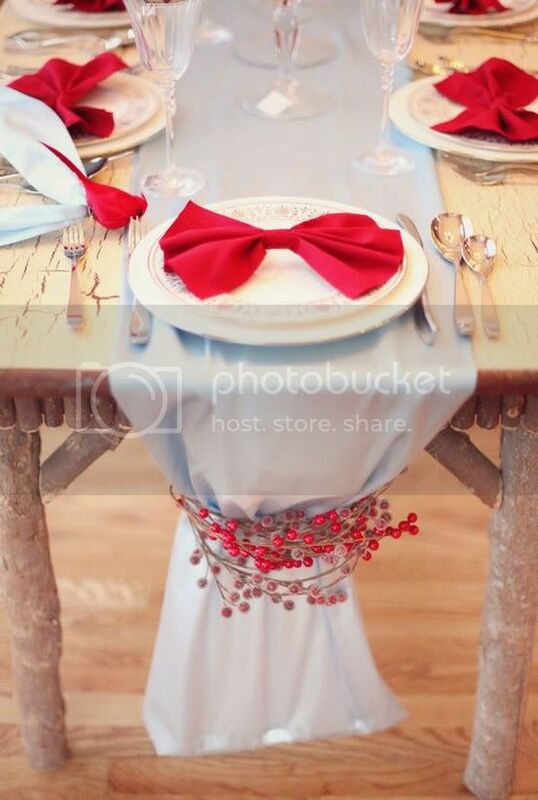 TIP #6 And lastly, choose a theme! In the case above, the theme was circles. You can do stars, trees, wreaths, anything! As long as they are all similar in shape & color, it will look awesome! Hope these tips help! I'd love to see photos of your holiday decor. Send them to me via Twitter or post them on the SBP Facebook page!